Outdoor movie events are fun. There is something about watching a movie under the skies that is immensely gratifying. However, there is a greater chance of things going wrong with an outdoor cinema. That is because, unlike indoor cinemas where you have most things under control, there are way too many factors that can cause a below-par outdoor movie experience. The key to minimising the impact of these variables then is to plan adequately before booking an outdoor cinema hire. In keeping with that, here are seven things you can do to make your outdoor cinema event a grand success. 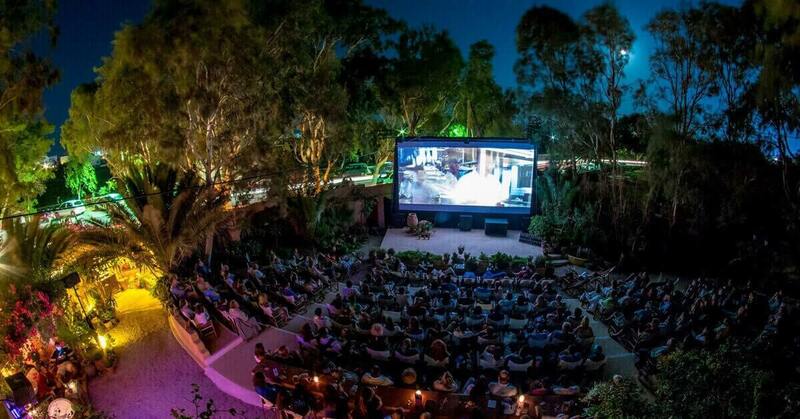 Picking the right movie is very important for a successful outdoor cinema event. For instance, if you pick a movie that has plenty of dark scenes, there is a chance it might disappear into the night. Or if it has too many soft dialogues, it could be overwhelmed by ambient noise; although ideally speaking, an outdoor movie event should never be held in a place where there is significant background noise. Also be mindful of the audience you are expecting for the event. If are expecting to host a lot of families and kids, avoid movies that are slow-paced and sluggish – action or comedy flicks are much better choices. Although they are becoming increasingly rare, if you are going to use discs to play the content, make sure the media are not corrupt and play the content without any glitches. Even if the discs function well, having backup copies at hand is a good idea. The advice stands even if you are using flash memory (USB drives) or mechanical hard drives to play the content. Test it multiple times before the event to check for corruption. Although firms offering mobile cinema hire have consoles that can mitigate these problems, it’s still advisable to test the storage before the event starts. Before your guests start streaming in, it is always recommended to give the venue a thorough check. Ensure all the cords are secured properly and routed away from the audience. Also, check if the power source is working as it should. And in case you’ve gone with an inflatable cinema hire, make sure it’s safeguarded from all sharp/jagged objects. Even though most modern inflatable screen frames are durable and sturdy, a stray glass shard or large nail can cause damage, especially when the screen is being set up. An outdoor cinema consists of a bright and large image projected onto a screen which is accompanied by occasionally booming and loud audio. So before you even begin planning the event, make sure it doesn’t disturb your neighbours. Seek their permission beforehand, which is also a nice way to market the event and drum up the attendee count. As the saying goes, asking permission is easier and better than asking forgiveness. If you’ve gone with an inflatable movie screen hire, you are likely expecting a lot of people, and by extension, vehicles. It is a good idea, as such, to hire some external help in managing the resultant traffic. Open air theatre events should be held in accordance with the local weather. If you are hosting one in the winter, make sure to start early as dusk falls sooner in winter, as does the temperature. Also, ask attendees to come dressed in appropriate clothing as you don’t want them to feel uncomfortable during the screening. Speaking of comfort, bugs can be a real dampener in outdoor screenings. So consider something like a bug spray to keep things comfortable. The fact that it’s night time, everyone is stationary, and out sitting in the open, is an open invitation to menaces like mosquitoes. Which is why it’s better to be safe than sorry and prepare for the local weather and climate when planning an outdoor movie event. Certain times of the year are simply better than others when it comes to hosting an outdoor cinema event. And while you cannot control the weather, you can certainly choose the right time for hosting the event. For instance, the early months of the winter are great as it doesn’t get too cold and dusk falls sooner as well. The setting is also the perfect opportunity to sell some hot cocoa and cider while screening universally loved holiday or year-end movies. Organising an outdoor movie event can be a hectic affair. But it can turn out well if you take care of the basics. If you’d like some help with organising an outdoor movie event in London, do get in touch with us. We are one of the pioneers as far as an outdoor cinema in London is concerned. Contact us for any and all information about equipment for cinema hire in London.